Rustic, Father Christmas tree decoration, all ready to go hoho. 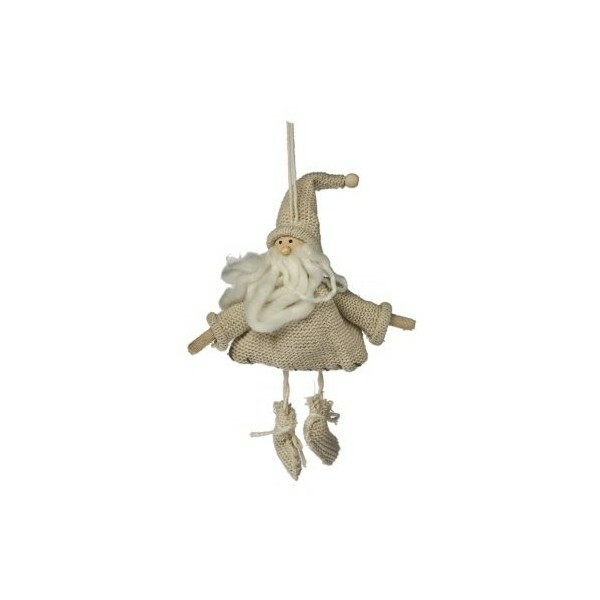 As he is built around a ball shape so he will sit comfortably on a mantlepiece or hang from your tree. 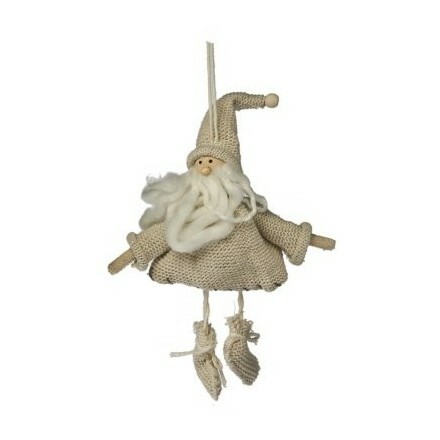 Where ever you put him he will be cosy in his knitted scarf, tunic and boots! Please note that this item is not a toy and is for decorative purposes only. Approx. 14cm long and 10 cm wide (excluding the string for hanging).